For reasons that still befuddle me, the producers of the Warcraft movie decided to adapt the original video game storyline from the 90s. Even though Warcraft became a household name with the World of Warcraft MMORPG in the 00s, they turned back the clock to focus on the origin story of the world. I supposed it makes some kind of sense, but it leaves out all of the most popular characters and stories. We’ll have to wait until the threequel or fivequel before we see the likes of Thrall, Illidan, the Lich King or Chen Stormstout! But that’s not to say the early days of Warcraft don’t have fun and exciting characters. And being the super lore nerd that I am, I’ve decided to put them in a list. Last week, I wrote about Warcraft concepts and characters I hope to see someday down the line, later in the franchise. That was before I saw the actual movie. Now that I’ve put in the time in theaters, and now that I see them sticking pretty close to the early stories, I’ve got a few more specific ideas in mind. If Warcraft 2 sticks with that earlier timeline, who are some classic Warcraft characters they should add? You won’t find too many of them in World of Warcraft, but back in the day, they were our champions! Except FULL SPOILERS for the new movie after the jump. Not much explanation is given for the dark Fel magic that orc warlock Gul’dan uses in the new movie. It’s evil, and there are demons involved, but Gul’dan seems to be the origin himself. Well Gul’dan survives the film and will likely be back for the sequel, which sounds like a good time to delve into the origins of Fel. 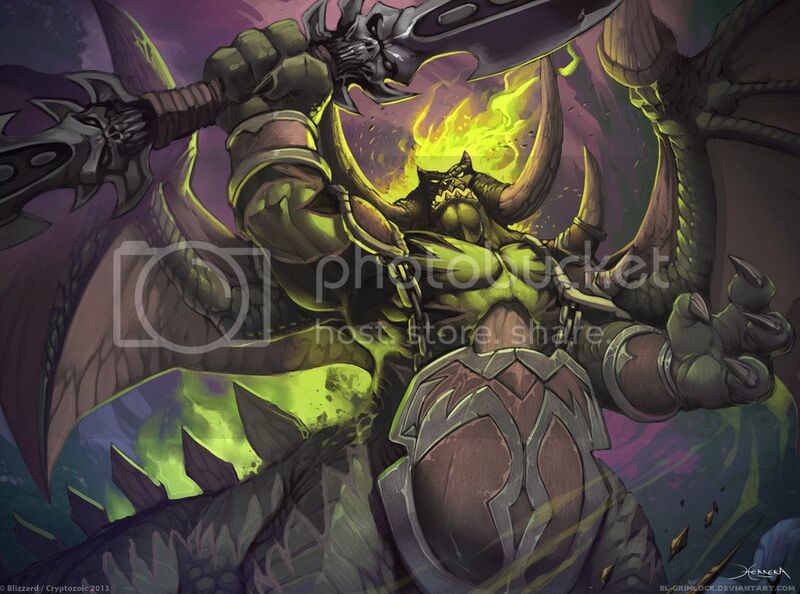 In the games, Mannoroth is a big pit lord demon monster dude, and he would look damn impressive on the big screen. Gul’dan initially turns the orcs evil by having them drink Mannoroth’s blood, something that was left out of this first movie. So if they’re looking for ways to make the orcs even more of a threat in the sequel, just introduce this big beast as Gul’dan’s demonic boss, and have Gul’dan line up his orc brethren to drink his evil blood. There’s your bigger, badder bad guy. And you’re going to need somebody iconic to drink that blood! 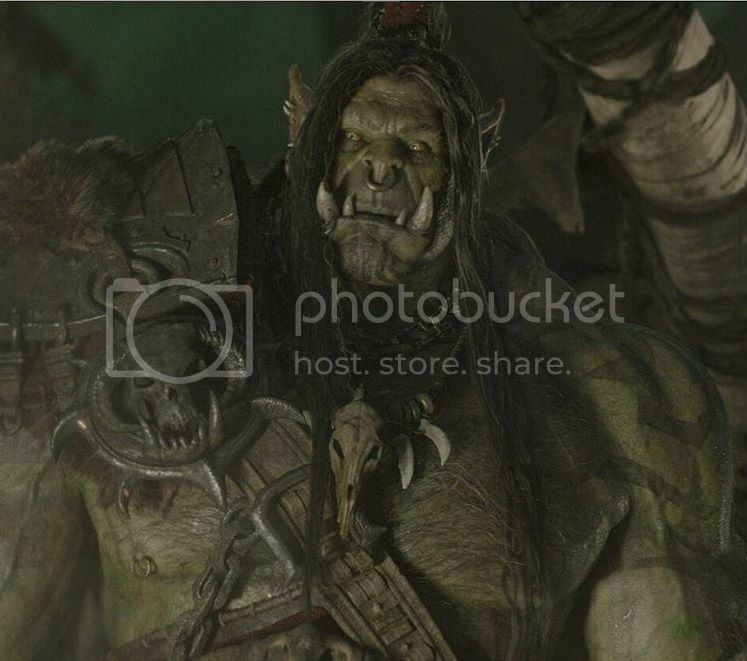 Eagle-eyed fans like myself saw Grom Hellscream in the background of several orc scenes in Warcraft. He didn’t get any lines or really do anything important, but he’s a major character in the lore (word has it he gets some lines in deleted scenes). With most of the named and recognizable orcs dead in the first movie, guys like Grom will need to step up to bolster the orc side of the war in the sequel. He’s got the hair and temperament of a rockstar, and a sweet, iconic ax. Grom Hellscream could really add some character to the orcs in a sequel. But the orcs aren’t the only big, scary, awesome race in Warcraft lore. Once they make a home on Azeroth, the orcs partner up with the local trolls. In fact, there is one troll specifically who plays a big part in the original Warcraft 2 game: Zul’jin! 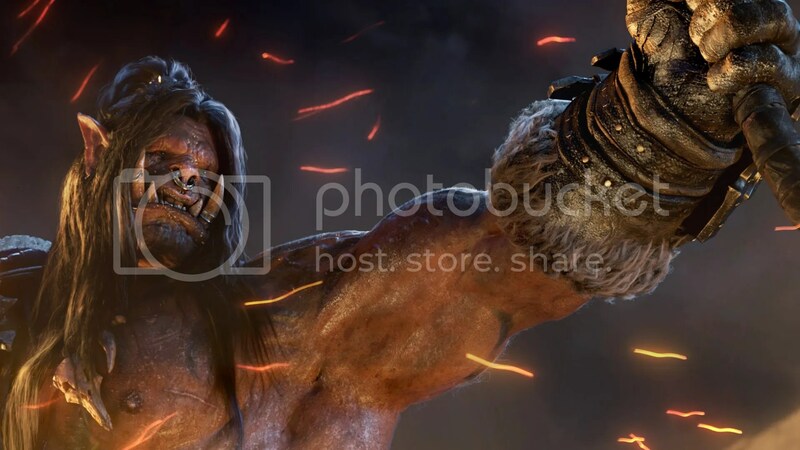 Buuuuut I don’t think they should add Zul’jin to the next movie. If we’re looking at the bigger picture, trolls become more important later on in the timeline. 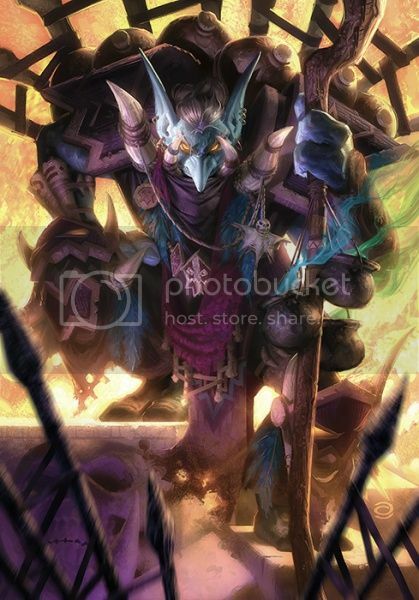 In fact, in World of Warcraft, the troll witch doctor Vol’jin is the current Warchief of the Horde. But Vol’jin and Zul’jin don’t really have anything to do with one another. If you’re going to introduce trolls, there’s no reason to overcomplicate things. Besides, Vol’jin’s father, Sen’jin, is a major character in Warcraft. So replace Zul’jin with Sin’jin in Warcraft 2, and then someday you can switch him out for his son, Vol’jin. Simple as that. I get the feeling that the dwarves had a bigger role to play in Warcraft than we saw. They went to the trouble of showing us Iron Forge. Lothar is introduced hanging out with a dwarf pal. And dwarves pop in and out throughout the film. If you’re going to all that trouble, the least you can do is give one of them a name. Kurdran Wildhammer isn’t a famous dwarf in the lore, but he was the named dwarf in the original Warcraft 2 video game. He’s a badass, gryphon-riding warrior, and that’s exactly the type of character who could make his presence known as a new hero in the sequel. Just have Lothar call on his help. Any of the Bronzebeards would probably also work. If we’re talking about making the orcs bigger and badder in the sequel, then you can skip right over trolls and pit lords and go straight to ogres! Natives of the orc homeworld, these guys are a logical step up in power and might. And Cho’gall would be the perfect addition. 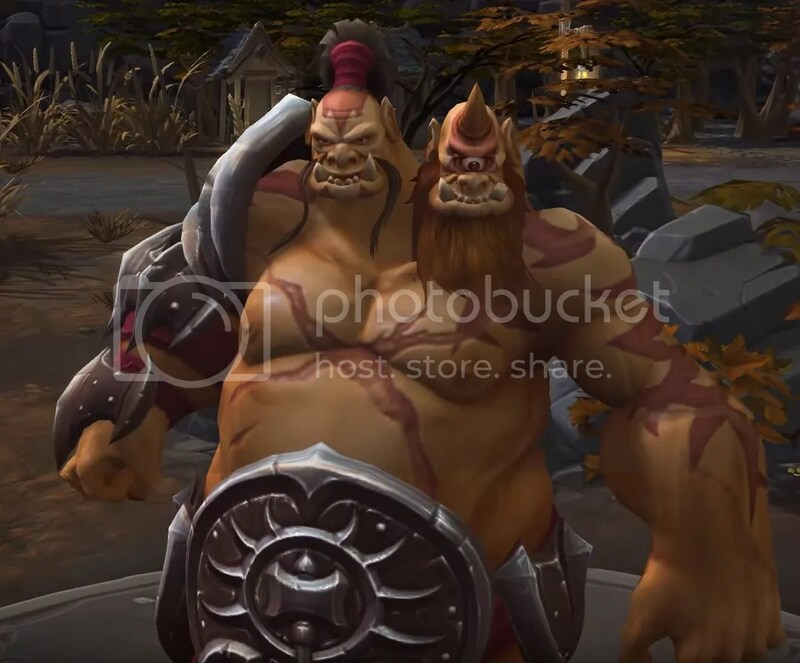 He’s Gul’dan’s apprentice and partner in evil, and wit Gul’dan still alive, it would be quite simple to introduce this two-headed ogre-mage. 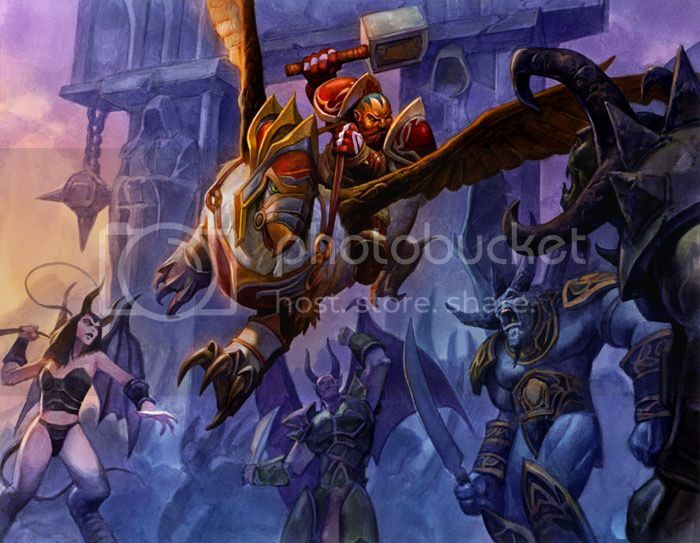 Cho’gall could bring along an entire battalion of ogres into Azeroth, so that ups the challenge for the human armies. Plus, those two heads are comedy gold! 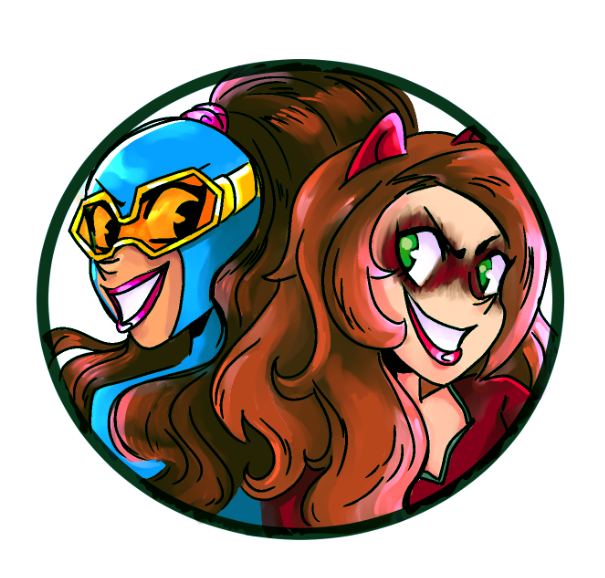 So I used two characters for this entry, big deal. You wanna fight about it? Turalyon and Alleria were two of the most important characters in the Warcraft 2 video game. He’s a human warrior and she’s an elven mage, and theirs is one of the classic Warcraft love stories. They’ve got everything we could possibly want to bolster the human ranks in the sequel. If we stick with Lothar as the leader of the new Alliance, then Turalyon is his charismatic, heroic second-in-command. Plus, he’s a great foil for Lothar. Turalyon automatically slots into a ‘second son’ category, plus his romance with the elf Alleria would reflect back on Lothar’s romance with the orc Garona. The character brings a lot to the table. Then you’ve got Alleria, who finally gives a face and a name to the elves, who were only briefly glimpsed in the film. She’s got a whole history that can be explored in time, but for the sequel’s sake, she’s a new type of character (archery ranger), who can have a cute love story with Turalyon. The two of them together are the perfect building blocks for putting together a sequel, and it wouldn’t be that hard to bring them in. Plus, it would be nice to have a love story that works. Posted on June 15, 2016, in Lists of Six!, Movies, Video Games, World of Warcraft and tagged Warcraft, Warcraft Movie. Bookmark the permalink. Leave a comment.